Except it is the one right after U3129. A year later it is still a total of 9 for me. Because they are still hard to find and expensive. with special grips, double-holed mags, lanyard loop. Last edited by ei8ht; 04-13-2019 at 08:42 AM. bruno38, baxtersmith, Harper and 3 others like this. I have two comments. The "U" number on your SMP pistol appears similar to ones that were put on pistols for which concealed weapons licenses were issued in Shanghai. In at least a couple of cases SMP .380s were given (issued) for important foreigners living in the Concession. It is possible that is one that was given to an important personage, who was then issued a concealed carry license for it. Some SMP M1908 pistols may have made points to come into the USA by having an extended barrel put in them. Once in the USA these barrels were replaced by the proper barrel. I bought one of these pistols once that had the extended barrel still. ei8ht, baxtersmith, bruno38 and 1 others like this. I find your observation most interesting, as I was not aware of this phenomenon. May I kindly ask where you took the information? I have seen two pistols with markings such as this that were accompanied by the concealed carry license--one was an FN 1910 and the other was a Colt 1903. the FN1910 was from the French Concession and the 1903 from the International Concession but they were both marked in the same way. I have a photo of hte 1910 and the license somewhere in the photos for one of my books on the SMP. If I can find it, I'll post it. Forgot to mention in regards to the SMP giving pistols; the SMP holster pictured in my WORLD'S FIRST SWAT TEAM book came from an SMP M1908 presented to a Scandinavian diplomat. Anyone that Collects SMP Marked Pistols Should Have a Copy. Last edited by ei8ht; 04-16-2019 at 06:09 PM. bruno38, stan3 and SHOOTER13 like this. - What does the "U" prefix mean/refer to, i.e. is that the first letter of a word (likely in English)? NOTE - By the way, this U-pistol was acquired and is still owned in Canada, not in USA. As such, it was not subject to a re-barreling operation. Sorry, I don't know how the numbering system worked. There were actually quite a few CCLs issued in Shanghai but I agree not enough to merit such a high number if they were just numbered sequentially. 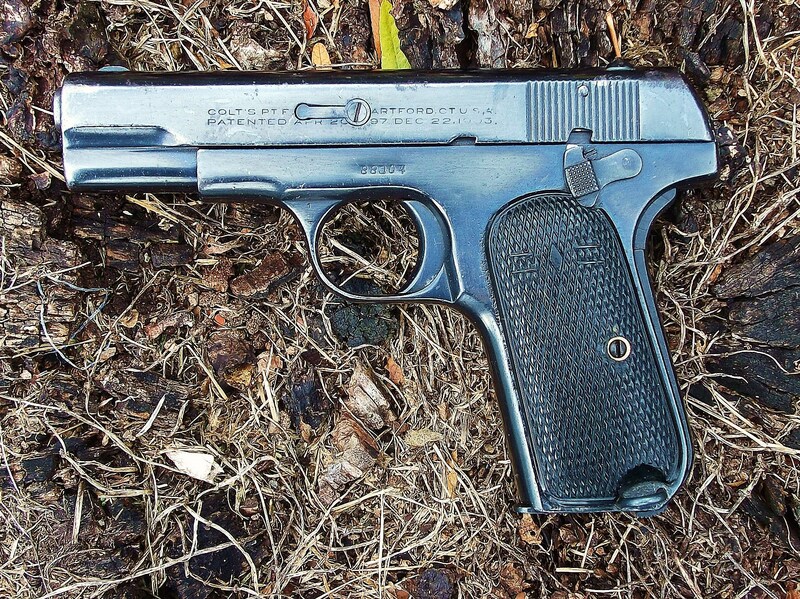 The SMP allegedly purchased a few Colt .25 autos but they may have been FN M1905 autos. I have one of these that reportedly W. E. Fairbairn carried after he became a high ranking member of the force. When he left Shanghai in 1940 it was reportedly given to his driver who took it with him when he left Shanghai. WEF's daughter did confirm to me that he had a "small pistol" that he carried in his pocket. Of course, when he commanded the Reserve Unit he also kept a Thompson leaning against the wall in his quarters. The FN also bears Alcock and Pearce retailer markings, as well as "S.M.P." and a number. 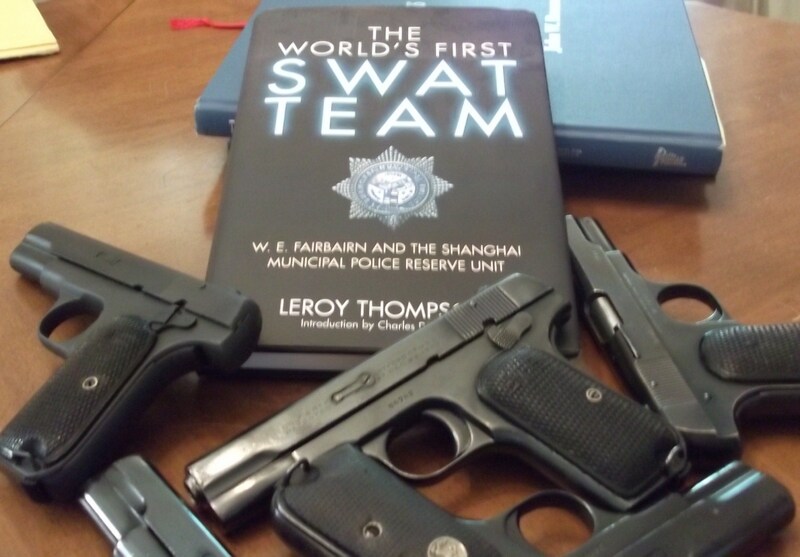 It is pictured in Anthony Vanderlinden's book on FN pistols. The comment about the longer barrels was addressing the point that the pistols could not be exported to the USA. If I remember some of the Colt 1911s and 1911A1s that were taken into SMP service, when recovered from the streets or otherwise acquired had such numbers added. I have seen posts on this forum about these non-Colt roll marked guns, which were with issue numbers above the standard SMP 1911A1s. ei8ht and bruno38 like this. Subject CZ-27 bears a hand-written number: U2322 !!!! Any link to the Shanghai Concession story? Last edited by bruno38; Today at 06:12 AM. I think this is just a happy coincidence, there was a block of CZ-27's with the "U" prefix that supposedly indicated they were for training purposes, or possibly test articles. They didn't have factory-stamped S/N's as far as I know, just the electro-penciled numbers. 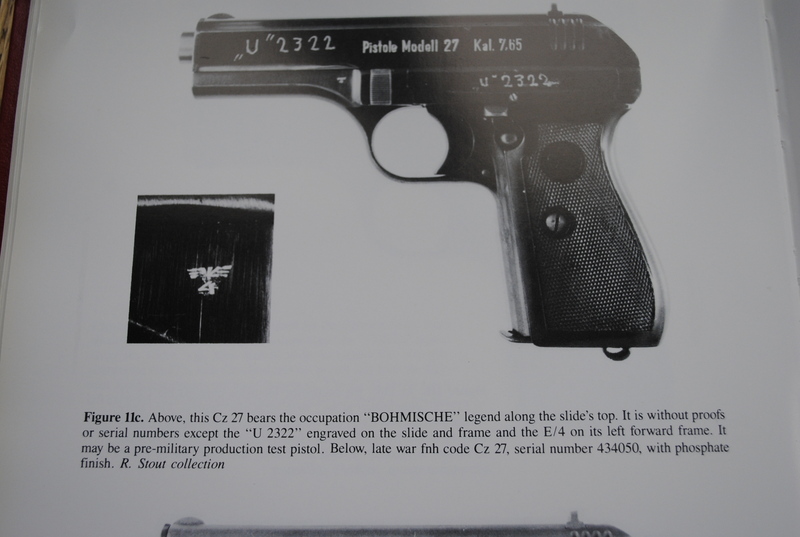 Unlike the regular production CZ-27's, had Eagle/4 proofs in addition to the "standard" WaA76 proofs (or police proofs).